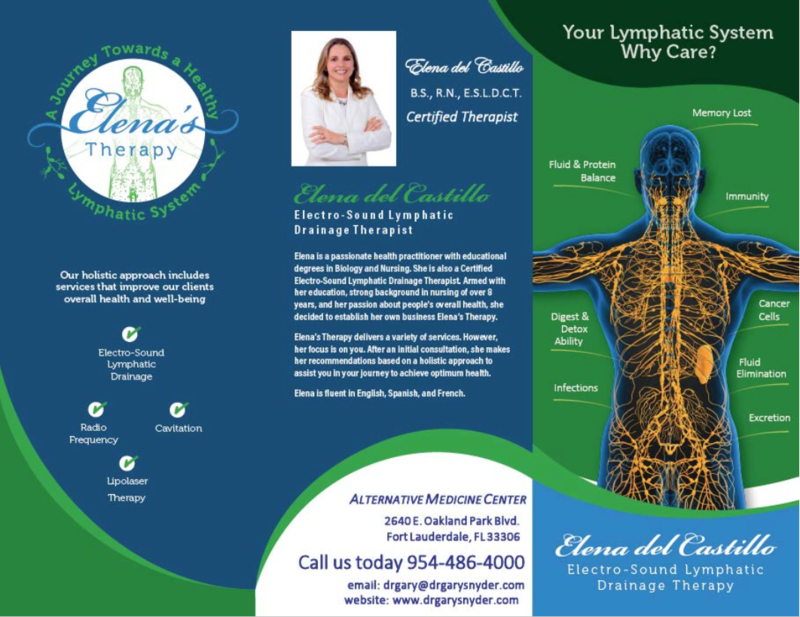 Lymph Node Therapy is provide by Elena Del Castillo. Elena has educational degrees in Biology and Nursing. 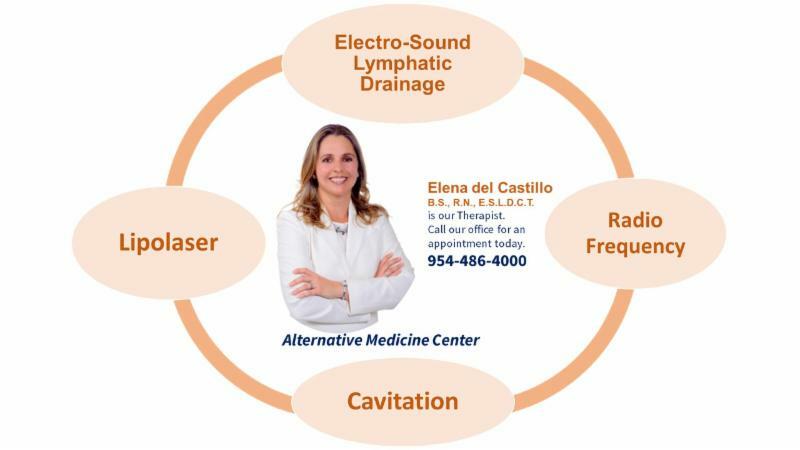 She is also an Electro-Sound Lymphatic Drainage Certified Therapist. The fastest and easiest way to schedule your appointment with the Elena is to contact our Ft. Lauderdale Florida office at (954) 486-4000.